Federica Mogherini, High Representative for Foreign Affairs and Security Policy/Vice-President of the Commission, met yesterday in Brussels with the President of the Presidential Council of Libya H.E. Fayez Mustafa al-Sarraj. They discussed the follow up to the International Conference on Libya that Italy hosted in Palermo on 12-13th November and how to best coordinate further support by the European Union to move forward the political transition in Libya. 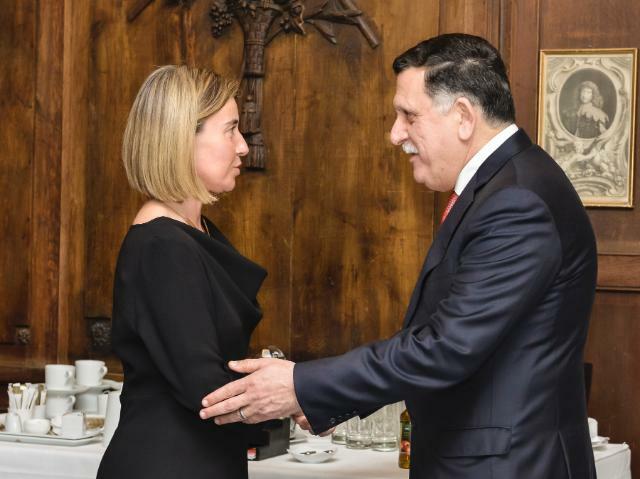 Mogherini and Sarraj also discussed the common challenge of migration and protection, and the need to step up the ongoing work in this field, including through the close cooperation with the United Nations and the African Union. The EU and its Member States will continue to stand by the Libyan people to assist them in creating a stable, secure and peaceful country.